Although predominately an industrial town, Imatra boasts a long and impressive history of tourism, largely owing to its fierce rapids, considered to have been Finland's first ever tourist attraction. Illustrious visitors, such as Catherine the Great, would visit the town to see them. Today, the rapids are harnessed for energy and released in a daily show. The town's proximity to the Russian border just 7 km (4.3 mi) away also made Imatra a popular retreat for wealthy Russians. 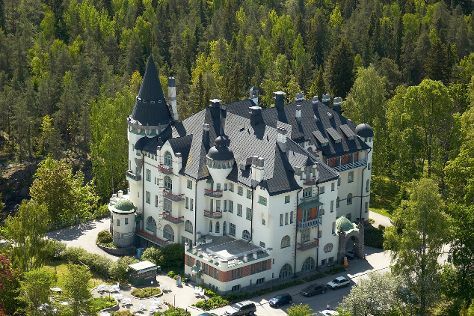 The famous Imatra State Hotel where these well-to-do guests would stay (until its transformation into a military hospital and headquarters) still stands on the picturesque riverbanks. Imatra is in South Karelia. Put Imatra at the heart of your travel plans by using our Finland online travel route planner .